The book attempts for the first time to explore the underlying properties of social interaction viewed from across many disciplines, and examines their origin in infant development and in human evolution. Are interaction patterns in adulthood affected by cultural differences in childhood upbringing? Apes, unlike human infants of only twelve months, fail to understand pointing and the intention behind it. Nevertheless apes can imitate and analyze complex behavior--how do they do it? Deaf children brought up by speaking parents invent their own languages. How might adults deprived of a fully organized language communicate? 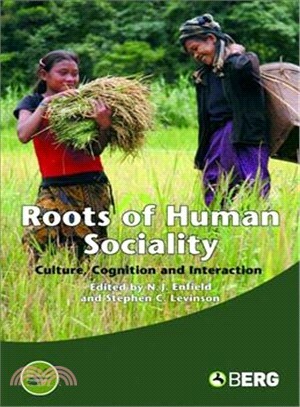 The book makes the case that the study of these sorts of phenomena holds the key to understanding the foundations of human social life. The conclusion: our unique brand of social interactions at the root of what makes us human. Nicholas J. Enfield and Stephen C. Levinson, Max Planck Institute for Psycholinguistics, Nijmegen, the Netherlands.